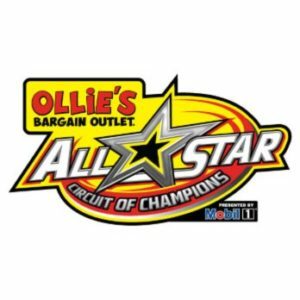 ATTICA, OH - The forecast is calling for nearly a 100 percent chance of rain throughout Friday and Saturday around the Attica Raceway Park area, which has prompted track officials to postpone the 30th Annual Core & Main Spring Nationals featuring the Ollie's Bargain Outlet All Star Circuit of Champions. The event will now be held Friday, April 26. Gates will open Friday, April 26 at 4 p.m. with racing underway at 7:45 p.m. at Attica Raceway Park on Core & Main Spring Nationals Presented by Craig Miller Trucking Night. 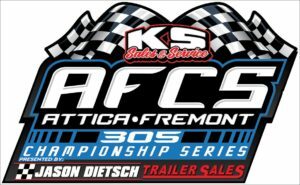 The Fremont Fence 305 Sprints and Summit Racing Equipment UMP Late Models will also be in competition. Core & Main is the Nation’s largest distributor of Waterworks products. Core & Main distributes a complete line of water, sewer, fire protection, and storm drain products to serve the needs of both contractors and municipalities in all aspects of public works and private construction industries. These products are integral to building, repairing and maintaining water systems and serve as part of the basic municipal infrastructure required to support population and economic growth, and residential and commercial construction. Did you know? Core & Main’s name was created by a company associate. “Core” references infrastructure, things underground and fundamental structures that must be in place to build. “Main” is a reference to a water main, Main Street and to the primary sources of knowledge and materials. The nearest Core & Main locations are in Ashland and Amherst! Attica Raceway Park shared a post.